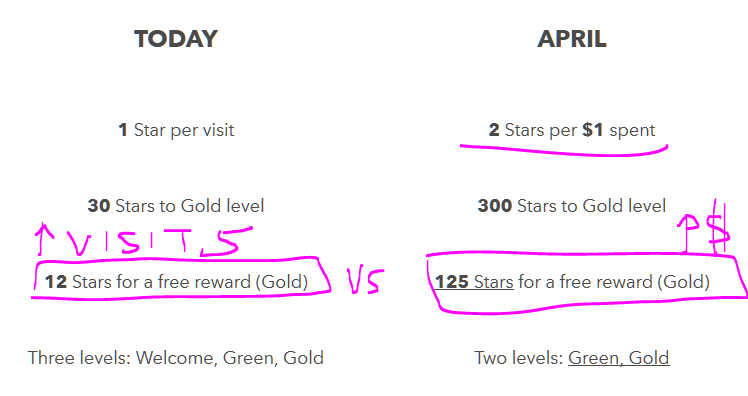 Starbucks may be changing their Rewards structure in April 2016 to benefit “high rollers” but until then, this is a good opportunity for us small folk to load up on Bonus Stars. 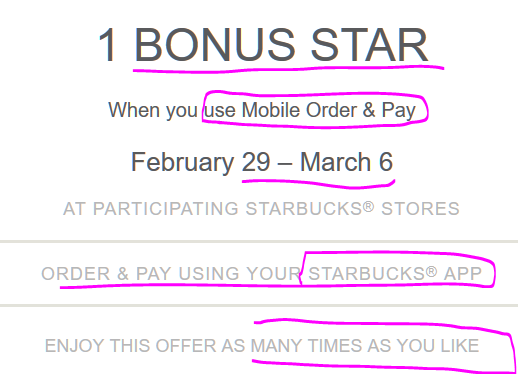 This is an easy offer to do, you get 1 Bonus Star (in addition to the regular star) for every mobile order you place between February 29 and March 6 in 2016. That’s a week’s worth! You can do this as many times as you like. 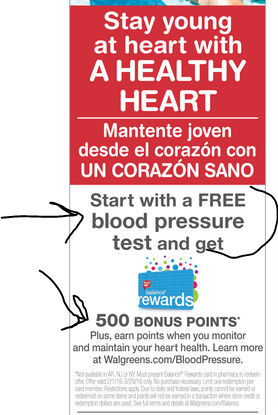 In addition to the bonus stars, this is also a good way to jump ahead of the line in the stores. Instead of standing in line, stand on the side, place the mobile order, and go directly to the order pickup area 🙂 Most items can be ordered this way, but some are either not available or don’t have the customizations you can get in-store. TIP: if you use a reusable cup, just get in line, and press the order button of your app right as you get to the cashier. Then hand them off your cup, and they will stick the mobile-order sticker to your cup and put it in the pipeline 🙂 You will NOT get the 10c discount, but the bonus star is worth about $0.50 (assuming you redeem your Reward for a $6 item). I have an on-going (and slow-moving) review (five parts so far) of the ASUS M32CD Windows 10 Desktop PC going on. The one I purchased for $430, when it came out in the Fall of 2015, had DDR3 memory. Now there is a new version out with DDR4 memory instead, on sale for $450 at the moment with a limit of five per customer at Amazon by Amazon actual. I only have the DDR3 version, and I’m a poor blogger, I can’t just buy the DDR4 version just so I can do a side-by-side comparison. I went back and looked at my CPU-Z results, indeed, the one I received was DDR3. NOTE: as you can see at the Amazon page over there, in addition to the DDR4 PC on its own, Amazon is also bundling it with the 23.8″ Acer R240HY bidx computer monitor, however, at least as of the time of writing, there is no bundle discount. You pay the same price whether you buy them together or separately. With Starbucks changing their rewards at some point in April 2016, there is a limited window to max out on bonus stars using the current rewards system which benefits people who average less than $5 per transaction. 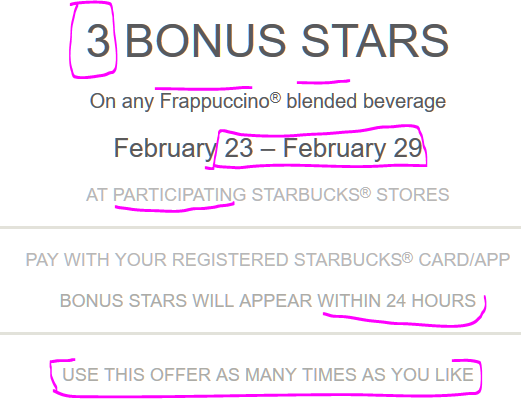 Regardless, if you are part of their program, their latest email has an offer running February 23-29 in 2016, netting you 3 bonus stars (in addition to the regular star) when you buy any frappuccino blended beverage. You can use this offer as many times as you like. There’s no coupon code, the extra stars should appear in your account within 24 hours. RECEIPT COUPONS: Meanwhile their cash register is spitting out receipt-coupons that let you get lunch items (eg bistro boxes) for $4 each when you buy them after 11am local time. The nice thing with these receipt-coupons is that they don’t expire the same day, but are good until March 6th in 2016. So don’t throw them away! No, we have not turned into a coffee blog 🙂 But there is some coffee-related deal action in the post Valentine’s season, and if you have a Peet’s Coffee Hause [that’s the artsy way of spelling it] near you, between 12pm and 5pm local time, between February 24 and March 9 in 2016, you can get half off (50% off) the purchase of any handcrafted beverage (not good for pre-packaged bottled drinks). You have to show the coupon (print or on mobile device) or mention the promotion to the barista. These are pretty popular offers, so typically all you have to do is mention the half off promotion and the barista will enter the magic codes on the register to drop the price. This is a good opportunity to try out their “Custom Lattes” since they are more expensive than their regular, but also more adventurous since you are mixing and matching. So if you pay half the price, you would be more willing to experiment with different combinations! 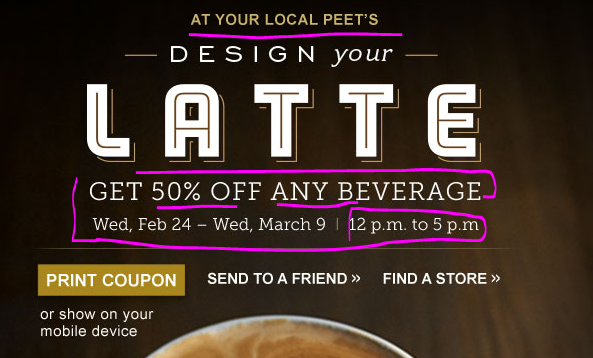 The offer is only good at Peet’s stand alone stores and their few Capital One locations. It is not good at airports or grocery stores or other type of licensed stores. Their email announcing the offer has all the fineprint at the bottom of the email. If you visit the Starbucks Rewards page, you will notice (among the many other things) on their website a thin banner informing you of changes coming to their Rewards program starting in April 2016 (they haven’t revealed the exact date yet). If you don’t want to read any further, here’s the summary: the changes favor people who spend a lot of money versus people who make multiple individual purchases. With the new system, rewards are earned based on the purchase amount, not the number of transactions. So the more money you spend (regardless of how many transactions), the more rewards you earn. On the other hand, if you buy items one at a time, you will earn less in rewards. Significantly less if you buy a cup of coffee every time. Hooray indeed! Coupon code HOORAY gets you FREE Shipping on any order, regardless of purchase amount at the Teavana website. Note that free shipping is fairly slow, the further away you are from New England, the slower it gets. 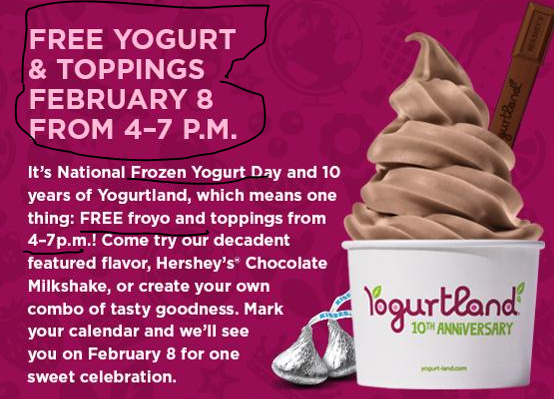 The coupon is good until the end of day on 2/25/16. A good place to start fishing for deals is their Sales page. Various sales items are featured there, some rotate in and out, others are clearance (on their way out). You can sort those options by Price using the “Sort By” options on the right part of the page (if you are on a desktop computer). Of practical interest, there are $3 tinsel tea tins, and $3.50 and $5 tea cups. Note that the $4 Oprah Chai Tea Tin is JUST the tin (it does not come with tea inside!). TIP: If you are just getting started with loose-leaf tea, search for “Perfectea” there, it will bring up their infusers. They are simple and flexible enough for a beginner. They go for $20 (16oz) or you can get a Starter Kit for $27 (includes a Tea Tin and 1 lb of Rock Sugar). If you happen to live or travel near a Trader Joe, they have one of the best deals on coconut oil. A 16oz glass jar for $6. That’s pretty good since many of the organic unrefined you find elsewhere go for twice as much. But if you are a frequent users of coconut oil, you can get a better deal per ounce at Amazon. They have the 54oz Carrington Farms Organic Coconut Oil for $17. You don’t even need a calculator, because 48oz of Trader Joe (three jars) cost $18. 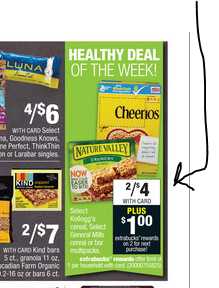 This offer also includes select cereal from General Mills and Kellogg’s as well, so you could mix and match. The ad says this is a “limit one per household” for the week. It’s a good for freebies today! If you are participating in the Lucky Rewards program, check your emails. 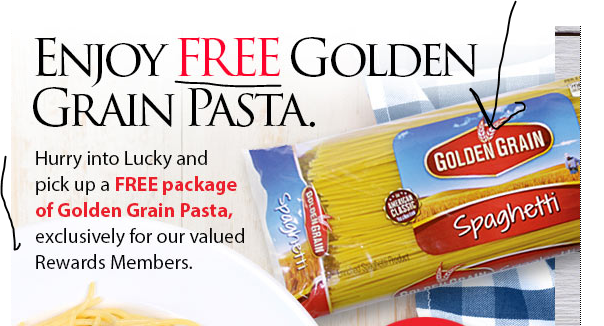 A new offer has been pushed out via email, giving you a FREE 32oz package of Golden Grain pasta. Assorted varieties are available that qualify for the offer. You MUST first add this offer to your Lucky’s account, and then redeem it. You use it by the close of business on Tuesday 2/9/16. If not used by then, it will expire. It follows the regular weekly cycle of their weekly ads, Wednesday AM to Tuesday PM. Check your emails for more details if you are subscribed to their list.